We're going to boldly go to new places with Patrick Stewart as Jean Luc Picard roughly a year from now. CBS Chief Creative Officer David Nevins recently confirmed that the untitled Star Trek Picard Series, which is being developed for their streaming platform CBS All Access, will debut toward the end of 2019. While he didn't reveal an exact premiere date, this gives Trekkies something to look forward to. Nevins made the reveal at the 46th Annual UBS Global Media and Communications Conference recently. Here's what he had to say about it. "In 2019, it's not one 'Star Trek,' it's two 'Star Treks.' 'Discovery' at the beginning of the year, and Picard will start at the end of the year." As David Nevins mentioned, Star Trek Discovery season 2 will return first in January, which will not only herald the return of the crew we came to know in the first run of episodes, but will also see Ethan Peck debut as Spock. The network will then take a little break and will work to get audiences hyped for the return of Patrick Stewart as Captain Picard, a role he originated in Star Trek: The Next Generation and went on to reprise in several movies. It also helped to spark one of the great sci-fi debates of all time; Kirk or Picard? The jury is still, and will likely be forever out on that one. But this new serious could help make a case for Picard. CBS has been doing what they can to bring attention to their CBS All Access subscription service in an era when everyone in the media landscape is working on carving out their own corner of the streaming market. In addition to the two live-action shows, the network is also working an animated series titled Star Trek: Lower Decks, which doesn't yet have a premiere date. Alex Kurtzman is heading up the new Picard series, which largely remains mysterious at this point in time. All we've really seen is a behind the scenes photo from the writer's room that was shared by Patrick Stewart. Beyond that, we don't even have an official title. Though, Wil Wheaton did express his desire to return as Wesley Crusher, given the opportunity. So may or may not have that to look forward to, depending on how things shake out. In any case, the prospect of seeing more Picard on his original home, back on the small screen, is more than exciting enough for many fans. In addition to their offerings set in the Trek universe, CBS is also working on a reboot of The Twilight Zone from Get Out director Jordan Peele, No Activity from producer Will Ferrell and Strange Angels from Ridley Scott, which will debut exclusively on All Access. This will help them compete with the likes of Disney, who are launching Disney+ next year, as well as WarnerMedia, who are planning a major streaming service, all of whom are trying to compete with Netflix. 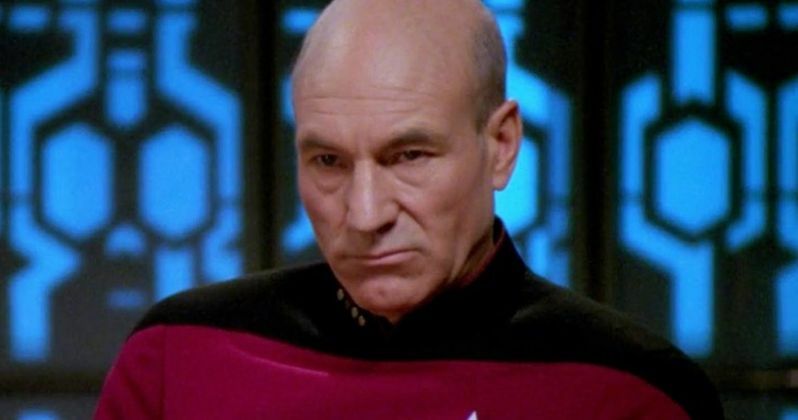 We'll be sure to keep you posted as more details on the currently-untitled Picard series are made available. This news was previously reported by The Wrap.